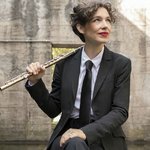 “Her subtle song immediately beguiles, arising from the clarity of the melody and her virtuoso play of her instrument, as meticulous as it is fluid.” That is the way critic Jean-Luc Macia described flautist Juliette Hurel. To witness Hurel perform is to see a leader in full command: her concise movements urge on fellow performers, pushing and drawing them back as the music ebbs and flows. Hurel is an award-winning musician who has collaborated with similarly decorated musicians such as Pierre Boulez, Martha Argerich, Shlomo Mintz, Gidon Kremer and Claire Désert, among many others. As a soloist Hurel has appeared with Les Siècles, Tokyo Metropolitan Symphony Orchestra, and the Montreal Orchestre Métropolitain. 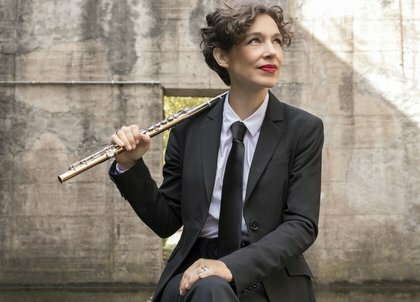 This year Hurel released her latest album Bach Inspiration which features French soprano Maïlys de Villoutreys and Ensemble Les Surprises. For her fans the album is a worthy continuation, the next chapter in a fascinating saga.